Here are pictures of two very fine pieces of graphic art. They look very similar, although one is showing a ship being blown up and in the other, a boat being used for a very different purpose. They look as though they were designed and printed in the same year – or at the very least in the same decade… but surely on the same continent. No on all those counts. The top picture was produced in Japan using medieval technology against a background of entrenched traditions in the year 1894 as a piece of wartime jingoism and propaganda. The picture on the right was produced in Europe for quite different reasons in the 1930’s – some half a century later, to celebrate modernity, leisure, wealth and prosperity. 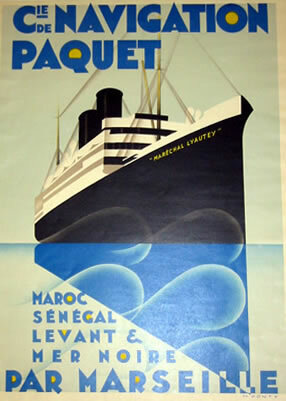 When we look at the graphic arts in the middle of the twentieth century we tend automatically to think of playboys, airplanes, the south of France and great ocean-going liners. Japan, the land of geishas and Pinkerton with quaint customs and traditions seems quite literally, a million miles away. There are some well trodden links between the inventive graphic and artistic innovations of Japan and the new modernity of Europe and America in the early years of last century. These influences tend to be based on what we call Japonisme – that is the effect that various world fairs and and exported Japanese goods had on a select group of artists and designers at the end of the nineteenth century. A lot (although not nearly enough) has been said to show the influence of ukiyo-e on van Gogh and the impressionists. Nevertheless, our visual, graphic world is dominated by symbol and style, by composition, colour, device and design much of which derives from Japan and in fact from only a handful of artists who, in their isolation, would have had no idea at all that their influence on a world they could not conceive would be so great and so long lasting. Art historians, like all of us, like to parcel things up… to make neat and cogent narratives. So it is that Japonisme is used to explain the eastern influence on western design. But if we start to deconstruct the pictures on this page, so much more of a complex narrative, not explained by traditional rote, becomes apparent. Let’s start with the quite superb and prescient propaganda piece by the Japanese artist Bairin. 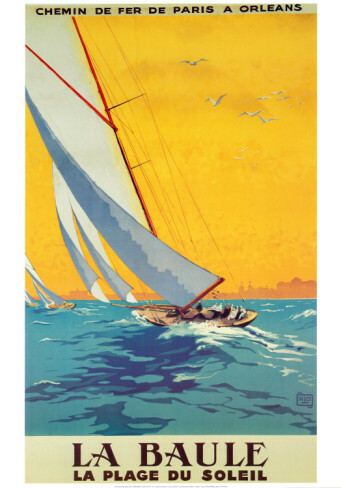 Not much is known of the artist and only a handful of prints in single examples have survived. This particular one is quite outstanding but not unique in its style and its astonishing use of woodblock printing technique. To put the piece in context, after the Meiji revolution of 1868, the government (Meiji literally means ‘enlightened’) put every effort into modernisation, especially into the armed forces. Within a few short years, using thousands of French, British and American consultants, the new Japan had one of the most powerful and technologically advanced navies in the world. Japan’s conflict with China boiled over in Korea in 1894. 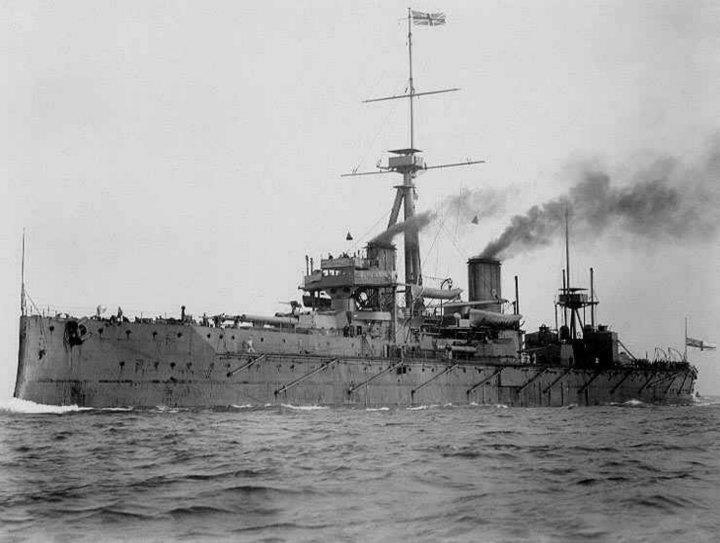 A speedy mobilisation ensued and the Japanese sent 140,000 troops and its new navy. The Chinese were hopelessly outgunned and the Japanese were victorious at a cost of only 1,400 casualties. Despite modernisation, the only source of visual information of the war was woodblock prints and the nationalistic Japanese were avid collectors of this new genre of senso-e. After two centuries of refinement, woodblock technique was at a peak of sophistication and the artists were able to produce modern looking pieces – mainly in triptych form – to satisfy demand for news of victories from the front. Some of these are very fine indeed. The new style of watery, mist-filled scenes using special effects to evoke the lingering smoke of battle, the novel depiction of modern high explosives and the refined use of western perspective in set piece panoramas was very successful. By this time, artists in Japan were having to compete seriously with the novel medium of photography. The artist is trying here to show a snapshot of the battle… a moment in time, as if it were a photograph. The huge explosion at the left will not linger for long enough for the artist to sketch it, the sweeping searchlight will not stay long in that position. The advantage that the artist has over the photographer is to arrange the composition for maximum effect and to edit out distractions to the main action and event. Bairin has developed (in tandem with other Meiji artists) a visual shorthand which serves his purpose well. The woodblock technique lends itself to hard edges and silhouettes and mimics the flash exposure and sharp contrast of early black and white film. Notable also is his shorthand description of waves and perhaps most prescient, his use of the spotlight as a device to divide the picture plane into sections of deep contrast and tone reversal. A detail of this print which deserves greater attention is the delicate and graphic handling of the smoke in the left hand panel, a technique exported wholesale to Europe for the depiction of liners in full steam. The story as usual is more complex; the narrative not as simple as we might be led to believe; because as with all great artistic achievement the victories are all collaborative. In fact, Japan was not completely culturally isolated. As we have seen elsewhere in this blog, the great nineteenth century artist Kuniyoshi was an avid collector of books of engravings from Holland which illustrated hundreds of great European renaissance paintings which Kuniyoshi copied, emulated and incorporated into his great prints. Likewise, after 1864 there was more or less free passage of ideas and goods between Europe, America and Japan. Giants of Japanese woodblock printing such as Yoshitoshi show enormous debts to European painting and drawing in almost all of his output post 1860’s. And so this pendulum of influence swings both ways. An artist like Bairin would have been familiar with his own culture’s century old absorption of western art practice including perspective, and modern forms of engraving and photography. In the same way, influential graphic artists such as Toulouse-Lautrec owe nearly all their innovation to the ‘discovery’ of Japanese woodblock prints in the late nineteenth century. 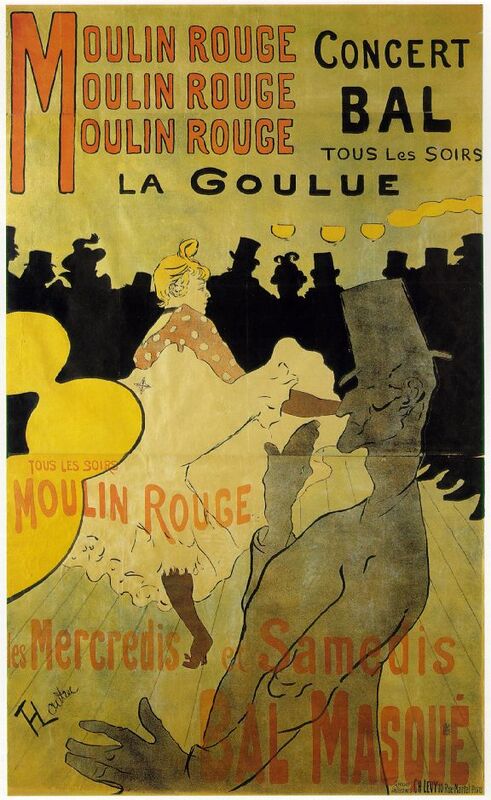 It is impossible not to see the parallels in Lautrec’s prints for the Moulin-Rouge and those of the great ukiyo-e artists such as Utamaro or Kuniyoshi. Lautrec, impressed by the original Japanese use of flattened space, flat colour, exaggerated expression, bold key lines and so on incorporated not only the style but also the sense of the floating world into his own version of the brothels and theatres of Paris. It is surely beyond doubt that this graphic modulation would have found its way back to its source only to be once more modified by the Japanese and again exported back to Europe and America. Bairin’s superb print is a moment in time, a window onto the shuffling of ideas, borrowing back from Europe before sending a new version to the wider world. There are technical reasons also why these twentieth century prints and Japanese woodblocks share so many stylistic and graphic features. In Japan, woodblock printing was pretty well the only way to reproduce an image until the close of the nineteenth century. The west meanwhile had developed and refined etching and steel plate engraving in black and used armies of young boys to hand colour them. The mid nineteenth century saw the introduction of chromo-lithography in Europe (a precursor to modern printing) which allowed flat colour (no half tones) to be printed in layers off metal sheets. Whilst quite different in technique from woodblock printing, the two technologies present the artist with the same problems – notably, the restriction to flat or overlaid planes of colour plus black. There was no tradition for this means of expression in the west and the longer established Japanese art of woodblock printing would have given western artists the direction they needed in how to manipulate the space and render objects in flat planes only. We really only see a western style of design much later as new technologies allowed for far greater realism and complexity. These magnificent travel prints from the nineteen-thirties and the powerful senso-e (war prints) from Japan several decades earlier share so much, artistically and technically. It is important always to see that in creative production there is often no single brilliant moment, that these artistic developments are a continuous shuffling of ideas and technological advances between artists, cultures, movements and individuals. That great art rarely takes place in isolation and it is the sign of great art that it freely uses and freely acknowledges its debts in the advancement of greater expression and purpose. The Bairin print is currently on sale for £380 from Toshidama Gallery as part of the exhibition The Expanding Horizon: Ukiyo-e Polyptych Prints which runs until 6th July 2012. This entry was posted in japanese woodblock prints, Sino-Japanese War, ukiyo-e art, Uncategorized, Vintage Travel Posters and tagged Art Deco, Art Deco Travel Posters, Bairin, Japanese Woodblock Prints, Senso-e, Sino-Japanese War, Toshikata, Ukiyo-e, Vintage Posters. Bookmark the permalink.